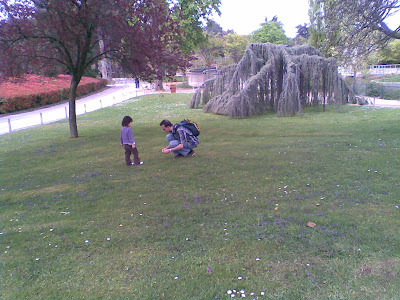 Today we took the car and went out to have a picnic in the jardin d'acclimatation. This is a huge park with lots of different things to do, they have a little farm, a huge kids amusement area, a playground, a puppet theatre, outdoor golf etc. We had a wonderful picnic with prawns, chicken, duck liver mousse and pasta. 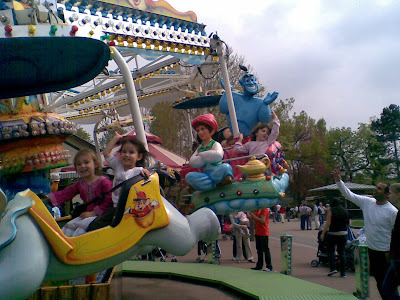 After the lovely picnic, we went to the kids amusement area for some rides. 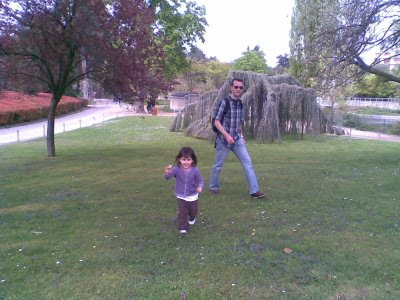 Laetitia was absolute delighted by the place. 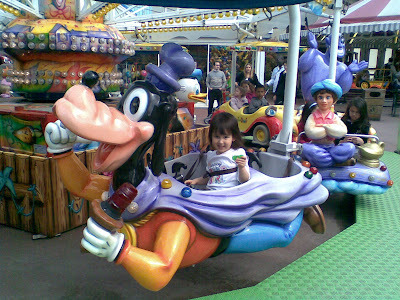 Here's some photos of her on the rides. And finally at home with the huge Hello Kitty balloon that we got her in the park.